Edwin Kelly Thompson was born in Lebanon, Kentucky the son of C.B. and Josephine (Clark) Thompson. He came to WKU in the fall of 1928 on a football scholarship. Thompson was injured early on and worked at other jobs on the hill to stay in school. He earned both his bachelor's and master's degrees from Western. 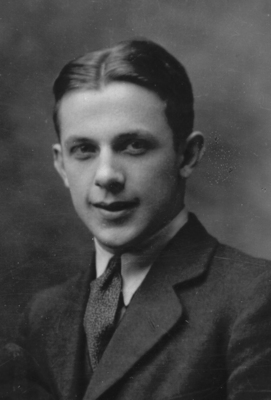 This photograph was taken while Thompson was a member of the debate team in 1928.